With advances in virtual reality (VR) and physiological sensing technology, even more immersive computer-mediated communication through life-like characteristics is possible. As a solution for the current lack of culture, expression, and emotions in VR avatars, we propose a two-fold solution. 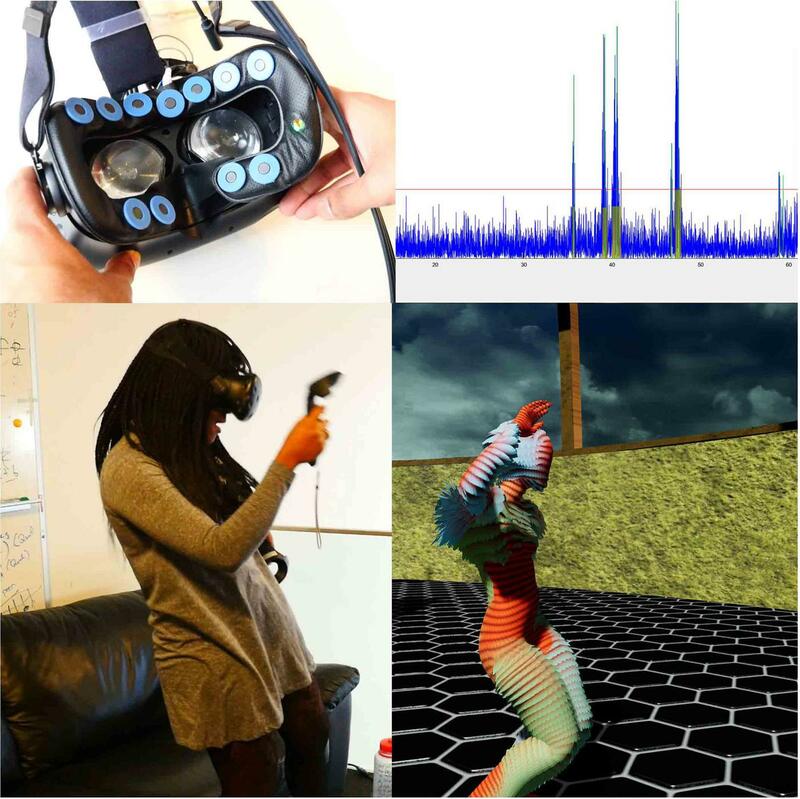 First, integrate bio-signal sensors into the head-mounted display (HMD) and implement techniques to detect aspects of the emotional state of the user. Second, connect the data collected to an expressive avatar: Emotional Beasts. The creation of Emotional Beasts allowed us to experiment with the manipulation of a user's self-expression in VR space and as well as the perception of others in it, with the goal of pulling the avatar design away from the uncanny valley and making it more expressive, more relatable to our own mannerisms. Based on this we have implemented a prototype system in which VR, human motion, and physiological signals are integrated to allow avatars to become more expressive in virtual environments in real time. EmotionalBeasts from Guillermo Bernal on Vimeo.